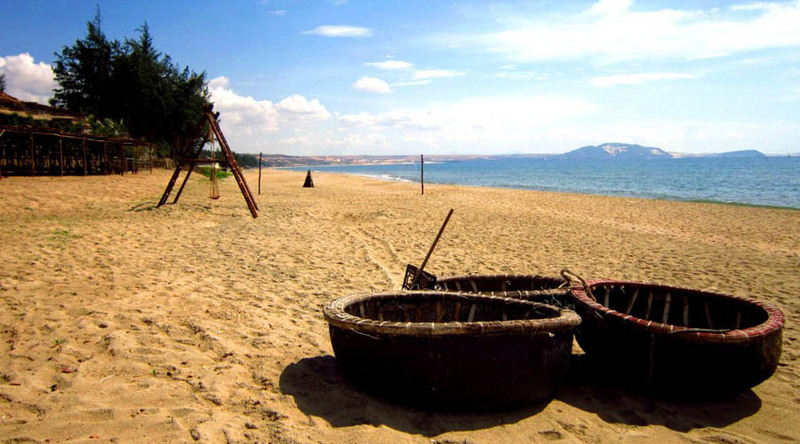 Phan Thiet – Mui Ne, located in Phan Thiet, Binh Thuan province, has long been considered the “Hawaii” of Vietnam. It boasts shady roads under coconut trees, a beautiful beach and cliffs battered by the waves of the sea. The typical scenery of Mui Ne lies in the moving lines of golden sand caused by the wind and when they are seen from afar they look like moving waves. The scenery looks more fascinating at dawn, when young Cham girls in green dresses go to work. Mui Ne is an ideal place for rest and relaxation. Enjoy a day to the completely untamed area with dunes from dark red to snow white sand and rive along kilometers of white sandy beaches with the sea on one side and endless Sand Dunes on the other. Discover the daily lives of fishermen and drive to an inland to discover the “White Lake” where snow-white sand dunes reflect themselves in the still waters.